By using katiemilton.com, referred to as this “Site”, all visitors, referred to as “user”, “you” and “your” are bound by these Terms and Conditions. The terms “we”, “us”, and “our” refer to Freenew LLC, owner of katiemilton.com. Accessing this Site constitutes a use of the Site and an acceptance to the Terms provided herein. This Site provides information for informational purposes only. Nothing contained herein establishes client confidentiality or constitutes a coaching relationship. The Website may provide information in respect to health, business, lifestyle, and marketing, and is intended for informational purposes only. Nothing contained on the Website or sent via email from katiemilton.com. or its owner is professional advice nor should it be construed as professional advice. No client confidentiality privilege is created through the use of this Website or purchasing any of its products or services unless otherwise stated in an engagement letter. Any information generated, produced or disseminated by Freenew LLC should not and cannot be held as a substitute for consultation or evaluation by properly credentialed professionals. By participating in/reading this website/blog/emails, you acknowledge that Katie Milton is not your coach and only providing business and lifestyle information. Freenew LLC cannot guarantee the outcome of services and/or recommendations on the website/blog/email series. Freenew LLC cannot make any guarantees other than to deliver the services purchased as described. By participating in a coaching session over the phone/web, you acknowledge that the information provided is not psychiatric advice and is not intended nor implied to be a substitute for psychiatric advice from your mental health professional. In order to use the Site and Service, you may be required to provide information about yourself including your name, email address, and other personal information. You agree that any registration information you give to Freenew LLC will always be accurate, correct and up to date. You must not impersonate someone else or provide account information or an email address other than your own. Your account must not be used for any illegal or unauthorized purpose. You must not, in the use of the Site, violate any laws in your jurisdiction. The Site contains intellectual property owned by Freenew LLC, including, without limitation, trademarks, copyrights, proprietary information and other intellectual property as well as the Freenew LLC/katiemilton.com, logo, all designs, text, graphics, other files, and the selection and arrangement thereof. You must receive written permission prior to utilizing any Content from this Site and agree that you will not modify, copy, reproduce, sell, or distribute any Content in any manner or medium without permission. Any request for written permission to use Content should be made to miltonkatie@me.com. YOU AGREE THAT UNDER NO CIRCUMSTANCES SHALL WE BE LIABLE FOR DIRECT, INDIRECT, INCIDENTAL, CONSEQUENTIAL, SPECIAL, PUNITIVE, EXEMPLARY, OR ANY OTHER DAMAGES ARISING OUT OF YOUR USE OF THE SITE OR SERVICE. ADDITIONALLY, FREENEW LLC IS NOT LIABLE FOR DAMAGES IN CONNECTION WITH (I) ANY FAILURE OF PERFORMANCE, ERROR, OMISSION, DENIAL OF SERVICE, ATTACK, INTERRUPTION, DELETION, DEFECT, DELAY IN OPERATION OR TRANSMISSION, COMPUTER VIRUS OR LINE OR SYSTEM FAILURE; (II) LOSS OF REVENUE, ANTICIPATED PROFITS, BUSINESS, SAVINGS, GOODWILL OR DATA; AND (III) THIRD PARTY THEFT OF, DESTRUCTION OF, UNAUTHORIZED ACCESS TO, ALTERATION OF, OR USE OF YOUR INFORMATION OR PROPERTY, REGARDLESS OF OUR NEGLIGENCE, GROSS NEGLIGENCE, FAILURE OF AN ESSENTIAL PURPOSE AND WHETHER SUCH LIABILITY ARISES IN NEGLIGENCE, CONTRACT, TORT, OR ANY OTHER THEORY OF LEGAL LIABILITY. THE FOREGOING APPLIES EVEN IF FREENEW LLC HAS BEEN ADVISED OF THE POSSIBILITY OF OR COULD HAVE FORESEEN THE DAMAGES. IN THOSE STATES THAT DO NOT ALLOW THE EXCLUSION OR LIMITATION OF LIABILITY FOR THE DAMAGES, OUR LIABILITY IS LIMITED TO THE FULLEST POSSIBLE EXTENT PERMITTED BY LAW. IN NO EVENT SHALL FREENEW LLC’S CUMULATIVE LIABILITY TO YOU EXCEED $100. The Site and the Service may contain links to third party websites and resources. You acknowledge and agree that we are not responsible or liable for the availability, accuracy, content or policies of third party websites or resources. Links to such websites or resources do not imply any endorsement by or affiliation with Freenew LLC. You acknowledge sole responsibility for and assume all risk arising from your use of any such websites or resources. In no event will Freenew LLC be liable to any party for any type of direct, indirect, special, incidental, or consequential damages for any use of or reliance on our Site or its Content. You hereby release Freenew LLC from any and all claims including those related to personal or business interruptions, misapplication or information, or any other loss, condition, or issue. You acknowledge that Freenew LLC does not offer refunds for any portion of payment for our products, services, or programs. All sales are final and no refunds will be given for any reason. If a dispute is not resolved first by good-faith negotiation between the parties to this Agreement, any controversy or dispute to this Agreement will be submitted to the American Arbitration Association. The arbitration shall occur within ninety (90) days from the date of the initial arbitration demand and shall take place in Kerrville, Texas, or via telephone. The Parties shall cooperate in exchanging and expediting discovery as part of the arbitration process and shall cooperate with each other to ensure that the arbitration process is completed within the ninety (90) day period. The written decision of the arbitrators (which will provide for the payment of costs, including attorneys’ fees) will be absolutely binding and conclusive and not subject to judicial review, and may be entered and enforced in any court of proper jurisdiction, either as a judgment of law or decree in equity, as circumstances may indicate. These Terms constitute the entire agreement between you and Freenew LLC pertaining to the Site and Service and supersedes all prior and contemporaneous agreements, representations, and understandings between us. No waiver of any of the provisions of this Agreement by Freenew LLC shall be deemed, or shall constitute, a waiver of any other provision, whether or not similar, nor shall any waiver constitute a continuing waiver. No waiver shall be binding unless executed in writing by Freenew LLC. The subject headings of these Terms are included for convenience only and shall not affect the construction or interpretation of any of its provisions. DISCLAIMERSBy using this website and/or purchasing any of Freenew LLC’s programs, products, or services, you are voluntarily agreeing to this Disclaimer. You are agreeing that you have read, understand, and consent to the terms herein. Any questions should be directed to miltonkatie@me.com before purchasing. This website provides information for educational purposes only. You must be eighteen (18) years of age and the the legal ability to agree to this Disclaimer. Nothing contained herein constitutes psychiatric advice nor does it establish client confidentiality or coaching relationship. 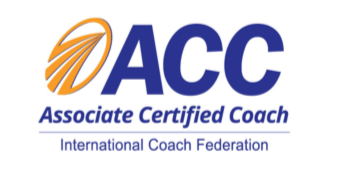 Information provided on the Site and in services related to coaching and consulting, including private coaching, group coaching, or other information (the “Services”) are subject to change. By using this Website or purchasing any of katiemilton.com’s programs, products, and/or services, you acknowledge that Katie Milton does not legally partner with you or create an coach-client relationship unless a separate engagement letter is signed. The educational information provided through programs or templates is not psychiatric advice, and is not intended to substitute advice from your own mental health professional within your jurisdiction. Katie Milton and Freenew LLC makes no representation or warranty that the information provided, regardless of its source (the “Content”), is accurate, complete, reliable, current or error-free. Freenew LLC disclaims all liability for any inaccuracy, error or incompleteness in the Content. You are instructed to have any document you receive through this website or its programs or services, reviewed by a mental health professional within your jurisdiction. You are advised to consult with your own doctor on your specific situation. Although care is taken in preparing products and services, Freenew LLC cannot be responsible for errors or omissions and Freenew LLC accepts no liability for any loss arising from use. You assume personal responsibility for utilizing the information provided on katiemilton.com and any programs, products, or services purchased herein. Freenew LLC is not responsible for personal actions during or after use of our programs or products, you accept fully responsibility for the use, or non-use, of this information. You acknowledge that Freenew LLC does not make any representations as to the legal rights or privileges, remedies, damages, expenses, or potential profitability or loss of any kind that may be derived from use of the programs or services purchased on katiemilton.com. Testimonials are examples of real experiences and opinions of people’s experiences with Freenew LLC and are on the Site for illustration only. All testimonials are displayed with permission and are of actual people and their results. Testimonials are not intended to guarantee current or future users the same or similar results. The the fullest extent permitted by law, Freenew LLC excludes any liability for any direct, indirect, or consequential loss or damage incurred by in connection with this website, programs, product or services. By enrolling in, purchasing or using this website, programs, products, or services, you agree to this limitation of liability and release Freenew LLC from any and all claims. Any questions on these Terms and Disclaimers should be directed to miltonkatie@me.com.